•If you have purchased User based licenses, you need to license Users (process participants) per environment. 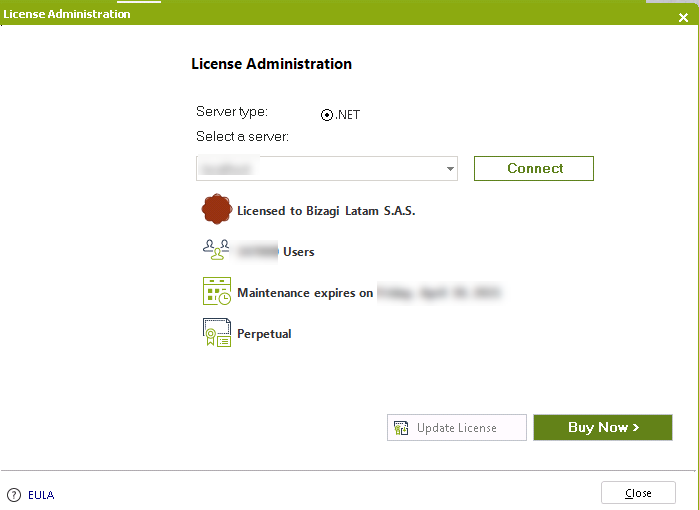 •If you have purchased Usage based licenses, you need to license the environments purchased. After purchasing a license for the first time you will receive an email with a License Key . Take into account that when a license key is activated in a server (or computer) you have an installation. 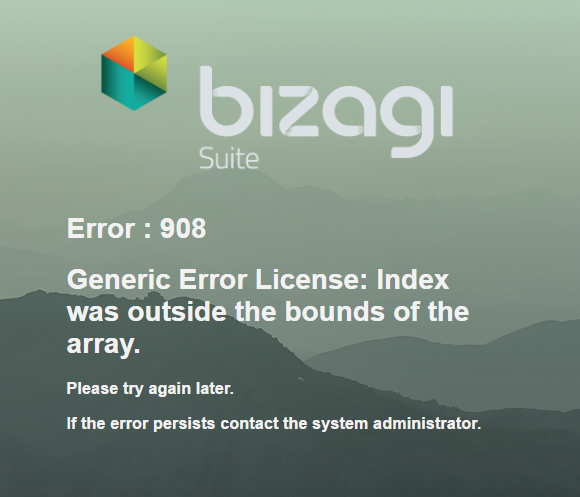 To Activate Licenses you need to access the License Administration option found in the Welcome to Bizagi page or in the Help tab, in Bizagi Studio or the Management Console. •Any mentioned limitations here only apply in On-Premise environments. 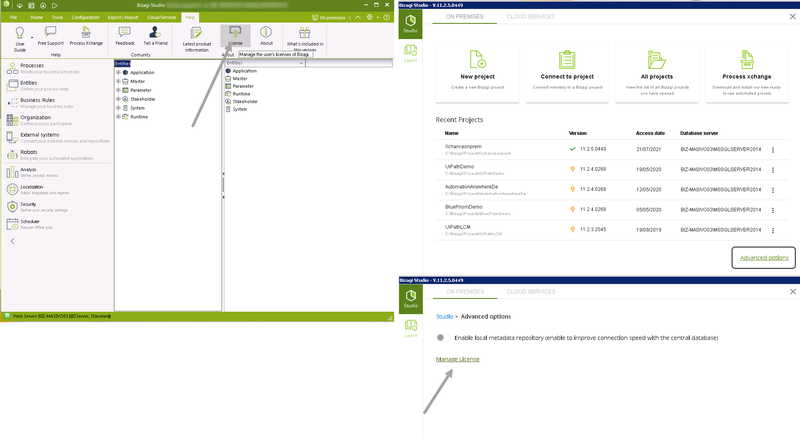 For Bizagi Cloud environment features and limitations follow this link. 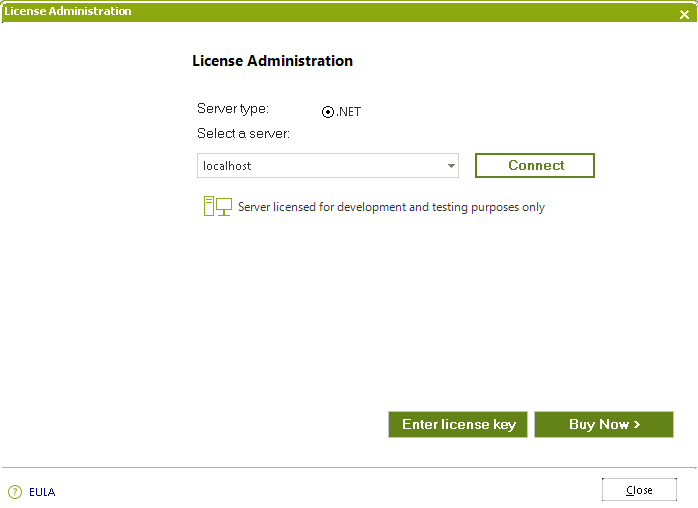 When the License key is received it has to be entered in Bizagi Studio through the License Administration option. A new window will display. Select the installation (server) that needs to be licensed. If the server does not appear in the drop-down list, type the name and click on Connect (Lightning icon). The first time you enter the key there will be no license information available, it will just say: "Server licensed for development and testing purposes only". Click on Enter License key button and type or paste the license key in the space provided. The license information for the installation will be shown. When carrying out changes in important aspects of the hardware in your infrastructure setup, such as using a different production server (or a different network card -NIC), contact our support team in order to make sure that your license is adjusted to your new hardware. There are some considerations when applying already purchased user based licenses to users within an installation. 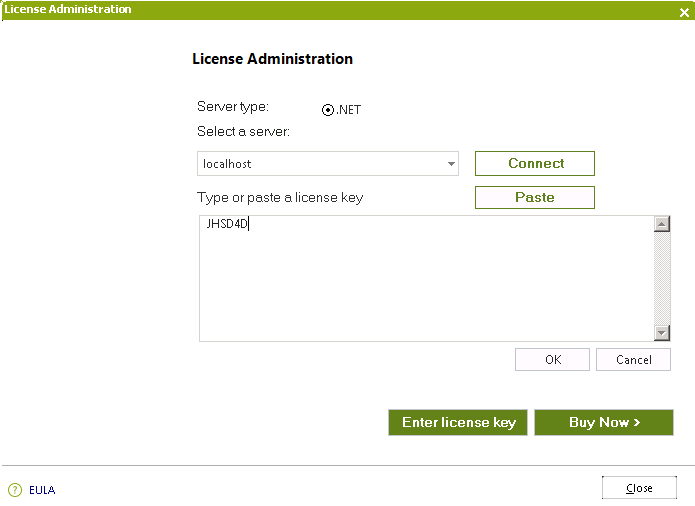 •To assign a license to a user, open its properties through the Work Portal > Admin > Users menu. Edit the user you want to activate and under the User Configuration tab, check the Active checkbox, save your changes when finish. 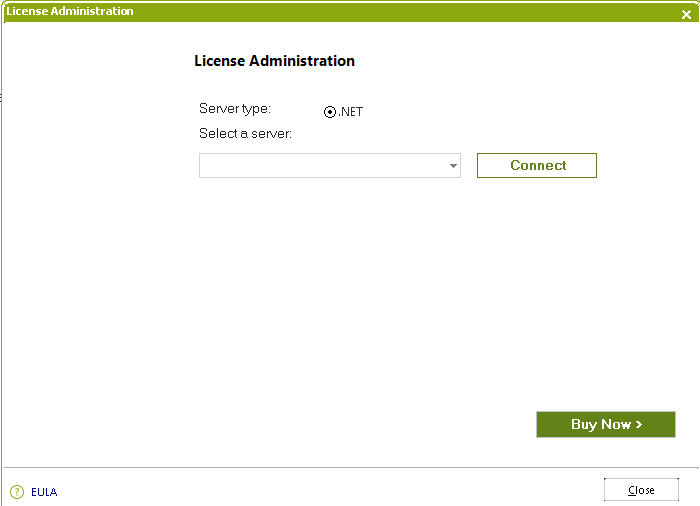 •To verify the number of used user licenses, select the Licenses item in the Admin drop-down menu. •The maximum number of users that are allowed to be active will be the number of users assigned in your licenses. Admon is considered as a user in Production environment. •If you have fewer user licenses than the number of active users in the Work Portal, an error will be displayed preventing anyone to access the Work Portal. Make sure you deactivate enough users until the number of active users are fewer than the user licenses assigned to the machine. This must be done before activating the license. •When creating a user in a licensed installation, Bizagi will automatically set the Active property to enabled, thus, using one license. •When you are running out of user licenses, a message will appear at the top of the users window rising awareness of how much user licenses you have used. •If you are creating a user when you have ran out of licenses, an error will be displayed. You need to purchase more licenses or deactivate another user. Licenses need to be renewed as the licensing period is about to expire. While your licenses are active you may also buy additional users for current installations. Note that if you have changed, or plan to change any important aspect of the hardware in your infrastructure setup, such as using a different production server (or a different network card -NIC), you will need to contact our support team in order to make sure that your license is adjusted to your new hardware. You will not receive license keys after purchasing renewals or additional users. After completing the purchase process you need to activate your renewal or additional users. 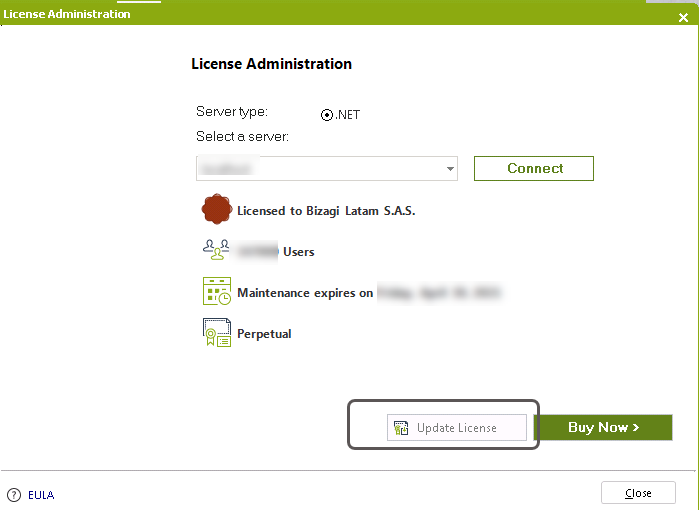 Go to License Administration and click the Update License button. •The current installation License information on the bottom of the screen. •The License type, the number of licensed users and the expiry date. •A button to Buy a License: when clicking on the Buy Now button you will be taken to the Contact us site, where you can enter your information and a sales representative will contact you soon.